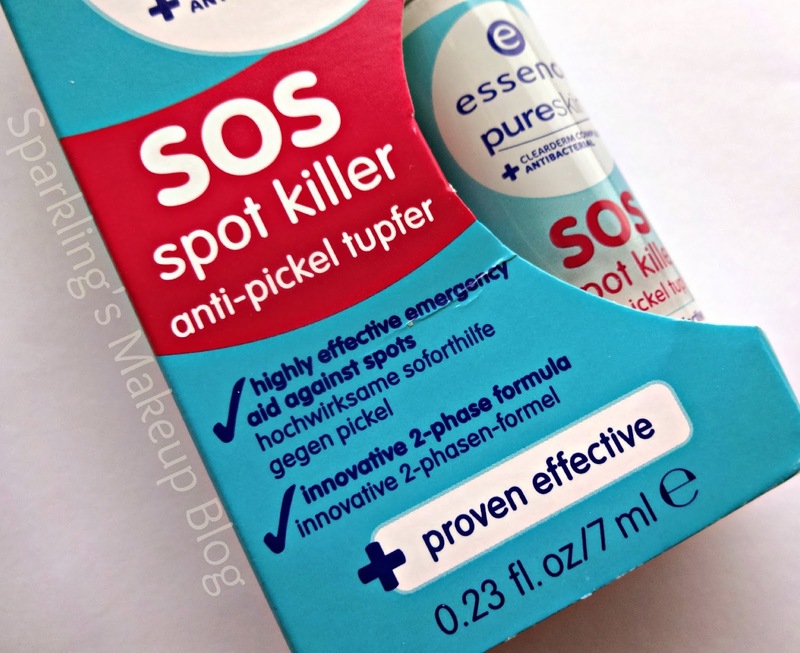 Are you looking for an emergency aid against the occasional or regular spots/zits esp the ones which appears a night before an important event? Let see if Essence SOS Spot Killer is an answer to your needs. To Reveal More Read More!!! Pure skin while you sleep! There it is again – just when you least expect it… a pimple! But now there’s a secret weapon specially for emergencies: the essence pure skin SOS spot killer! The innovative 2-phase formula with our CLEARDERM COMPLEX is super fast and effective as it dries out spots overnight to battle skin impurities. Shake before use, apply on the affected areas after cleansing in the evening, leave on overnight and simply rinse off again in the morning. Effectiveness dermatologically confirmed. The packaging is really cool I must say. The product is in a long glass bottle, yes its made of glass. Transparent, wrapped with description paper. The white fluid inside can be seen from the open spaces. It has a white plastic cap. 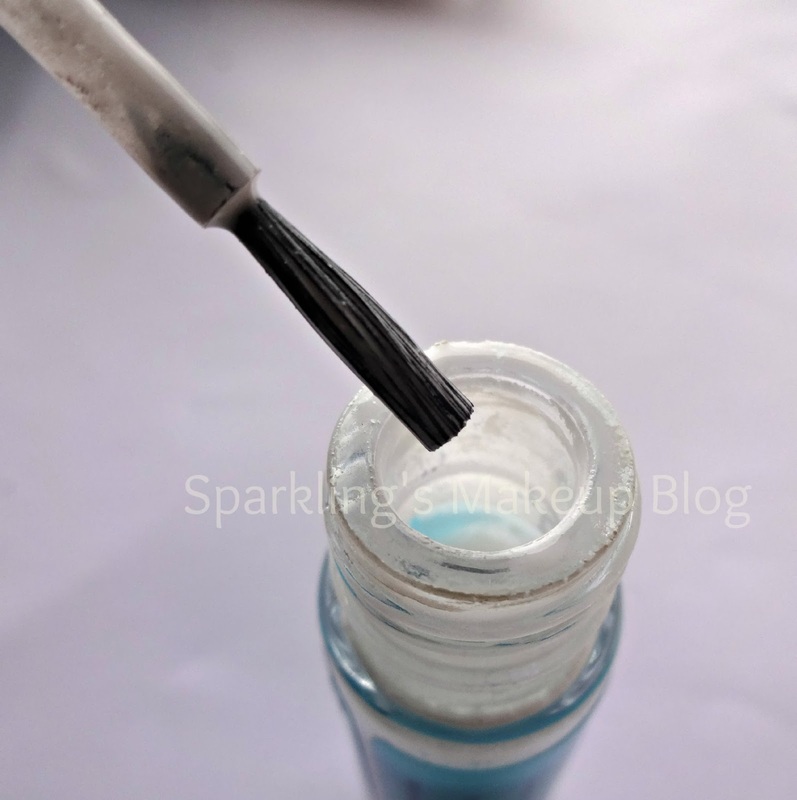 The brush applicator is attached inside the cap. This brush is similar to a Nail paint brush. The bottle contains 7ml of the product. The packaging and the bottle was not sealed. I am out of my teens, long ago...lolz. 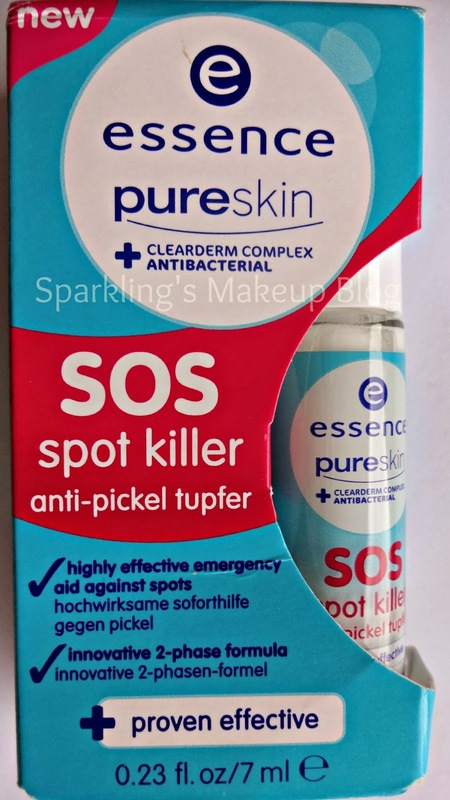 So don't have those night-mare-ish bumps regularly but yes I have these spots/zits occasionally. Mostly after Facial waxing I get these red bumps and sometime with few hormonal changes I get some black and white head. 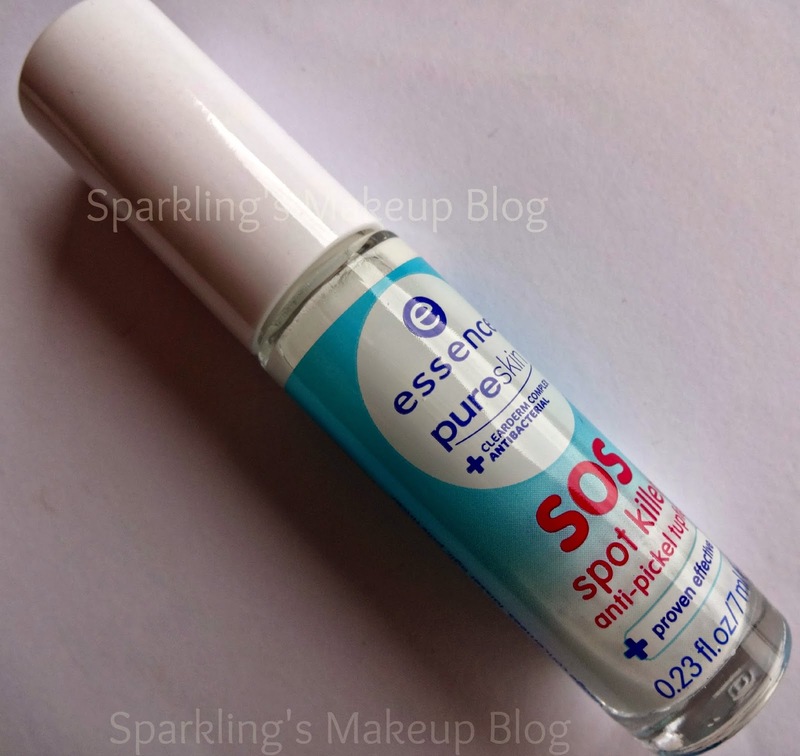 When I got Essence SOS Spot-Killer from there new Pure Skin range, I had high hopes... of a miracle. It is a white fluid. On first application I felt a tingly feeling, as it contains Alcohol. I left it over night. In the morning the white spot of the fluid was there, after washing my face normally, I can see the spot there too, the way it was. So no Miracle!!! After few uses I concluded that this won't give a drastic change overnight all it does is to just speed up the time of the drying of the bumpy head and by covering it, secures from bacteria and any infection. Yes I can feel that after application the spot/bump/zit stops where it was, and from next day start drying (dying). SOS Spot Killer secure it from any bacterial or fungal infection, for which such bumps are prone to. Then the growth withers away like regular, but safely without any rupture or infections. If using the same brush on the zits/spots seems unhygienic to you then you can use a new q-tip/cotton bud for every single use. you want a regular treatment for spots. Available for Pkr 590/- on essence official counters. For online availabilty check at Just4girls. 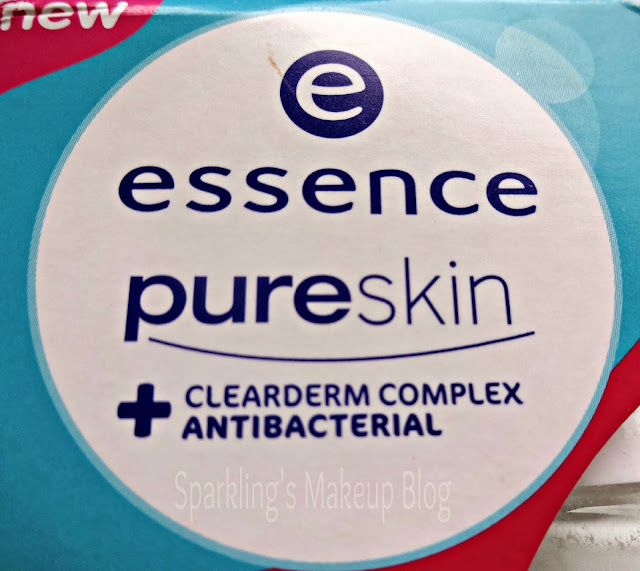 Do read other Sparkling Posts on Essence. What are your tips and trick to kill these spots? Oh seems to be good product ! I didnt get the best results from this. oh...i thnk shud try this one.. This is something like acne care products .. 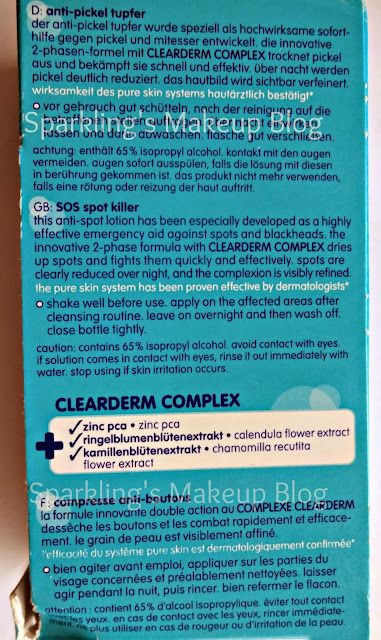 When i spotted acne, i applied Mud/Neem mask , and my pimples/acne started to peel off/wipe off letting my skin fresh .. For this product i am curious if it is safe to use during pregnancy? as some of the changes are caused due to harmones as we all know ..